Our friend Scarlet Fry (thanks man!) 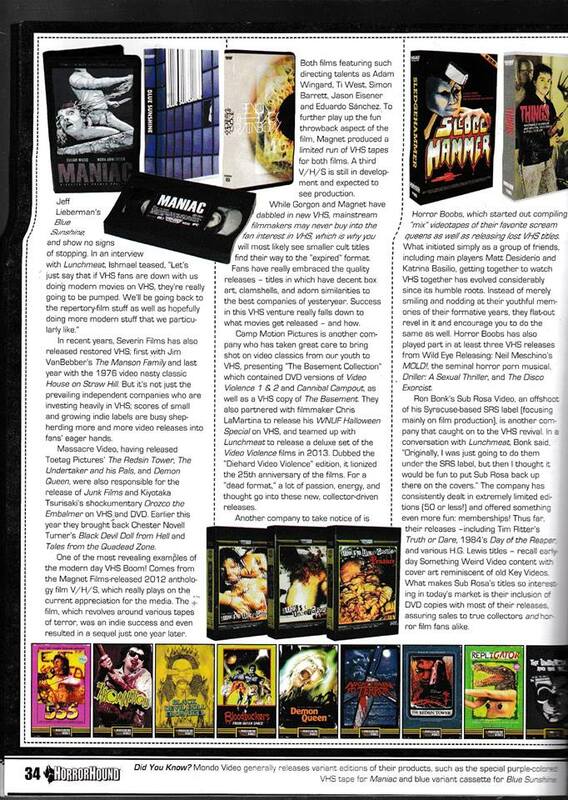 sent over some scans (we’ll try to get some higher res ones in the future) of some great coverage for our VHS releases in the new issue of HorrorHound Magazine. 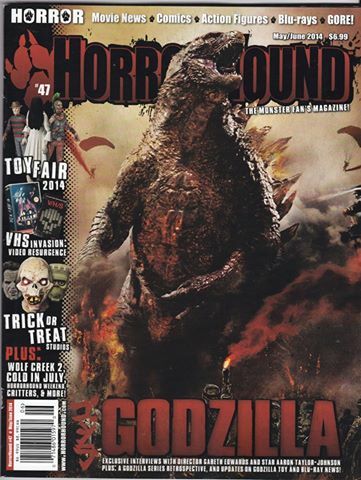 Paragraph on first page of the article and they reprinted many of our covers on the second page, thanks HorrorHound, very honored!